Imagine finding your life purpose, waking up every day, so excited that you can't wait to get out of bed! Is that even possible? For some people, it's beyond even imagining. Too many people only know this kind of excitement when they are on vacation. What if you could be different from "most people"? What if you can feel like this, most of the time? This is what knowing and discovering your purpose in life will give you. There already IS an intelligence that is inside you, that has been there your whole life, expressing itself through you. 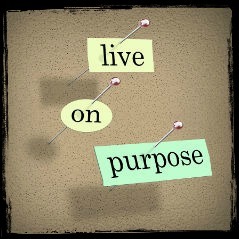 Tapping into your purpose is not about finding or inventing a purpose for your life. It's about UNCOVERING it. It only seems like you're the one doing the searching! In fact, it's the limits of language that make us say that you have a purpose at all. It may be more accurate to say that your purpose has you. The way an artist has a brush and canvas. Or a musician has a piano and a sheet of music. That doesn't mean you're passive in the process. Far from it. Why? Because your life -- everything in your life, expresses it. The proof is in the very palm of your hand. In your skin, your muscles, your blood and bones. The DNA of every single cell is calling you to your purpose. What will happen when passion and enthusiasm flood your mind and body with fresh new energy? What will you create, spontaneously, in your life? Who and what will be drawn to you? All you have to do is quiet your mind, listen and your personal mission will unfold in wonderful, fulfilling ways. You are never too young or old to connect with your life's purpose and live a life of passion. It is the reason I created Life Purpose Connection, to help you uncover and fulfill the purpose of your life. It is my honor and privilege to offer you one of my best-selling programs, that takes you though a journey to find your purpose in life. Find your purpose and create the life you want. Start now!